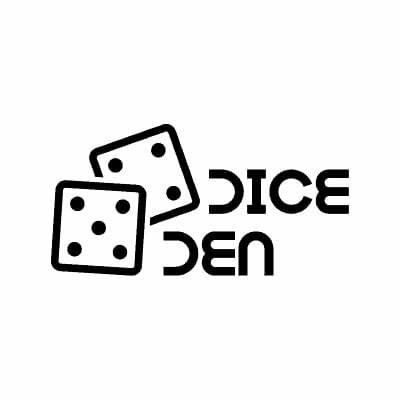 A dice den sounds pretty exciting, doesn’t it? We think so, which is why we couldn’t wait to get a good look at Dice Den Online Casino when it launched in November 2018. Dice Den may be pretty new to the online casino market, but it is owned and operated by the renowned company called Nektan Limited. The casino has earned licenses in both Gibraltar and the United Kingdom – two important licenses that tell us just how safe and secure this new kid on the block is. What’s more, all the random number generators have been independently certified as fair and there is a solid responsible gambling policy in place with handy information and contact details for relevant helplines. New players to Dice Den Casino can look forward to a generous welcome bonus when you make your first deposit, whilst regular bonuses, themed promotions and VIP rewards offer more ways to play with bonus funds and more ways to win at Dice Den. The online casino also regularly hosts a range of slot tournaments complete with enticing prizes. In fact, the slot selection at this casino is a big attraction, with more than 25 software providers, like Pragmatic Play, Microgaming and Red Tiger Gaming contributing to a very exciting portfolio. There’s also the opportunity to play immersive live dealer games from the likes of Extreme Live Gaming. But that’s all just for starters. Let’s take a closer look at what Dice Den has to offer. If you’ve ever played at a Nektan online casino, you’re well aware that these casinos offer generous welcome bonuses, and Dice Den is no different. In fact, new players who make their first deposit can look forward to a 100% match up to a maximum of $/€1,000. This is certainly a higher welcome bonus amount than you’ll often find at other online casinos, which is a great help at making your money go so much further. What’s more, Dice Den also gives you 10 free spins to spin on NetEnt’s most popular slot, Starburst. To qualify for the welcome bonus, you need to deposit a minimum of $/€10 into your new player account. The wagering requirement for this bonus is 40x, which is relatively standard. Once you’ve used up your welcome bonus and met the wagering requirements, there are loads of other bonuses and promotions to take advantage of at Dice Den. There’s the Black Friday spins frenzy where you can get a whopping 100 spins for just $/€20, and there are even other prizes up for grabs, like a Fitbit or a drone at the time of conducting our review. There’s also the Extra Spins Frenzy where you can get 40 bonus spins on the slot game, Wolf Gold, when you deposit $/€20. Alternatively, deposit $/€40 or more and get 100 bonus spins. There are also 5 extra spins up for grabs to spend on Rainbrew for payments made via credit card. The Booster Bonus 10 rewards you with a 10% match on deposits of up to $/€200 on certain dates, along with 5 extra spins to play on Rainbrew, also for credit card payments. The Winning Wednesdays promotion gives you a rather nifty 15% boost on winnings on certain days of the week, too, and you need a $/€25 minimum deposit to qualify for this one. Finally, on the promotion front, Dice Den offers a VIP programme that is open to all players who deposit a total of $/€2,000 or more from the start of their membership. Just like other online casino VIP programmes, this one is based on tiers, with higher levels opening up as your total deposit amount increased. Everyone starts at Silver level before moving up through Gold, Premier and Elite. The benefits include quicker withdrawal times, a personal account manager, exclusive promotions, special gifts and higher deposit limits. The only way to unlock all the incredible benefits that Dice Den Casino offers is to create a new player account and start playing for real money. The good news is that this is quick and easy. Simply sign up, make a real money deposit into your account, and you’re good to go. As for withdrawal processing times, credit and debit cards take between 2 and 5 business days while e-wallets can take as quick as 24 hours. The maximum deposit at this casino is $/€10,000 per day while the maximum withdrawal is the same. Both the minimum deposit and withdrawal is just $/€10. When you click on Dice Den Casino, you will quickly realise just why this casino has been quick to grow in popularity with both experienced and new players alike. This is one casino that just doesn’t mess around. It offers you everything you could possibly want from the very first click. The home page boasts all the games right there, so you can pick from mass favourites such as Starburst, Dragon’s Luck, Cleopatra, Jungle Spin, blackjack, roulette and so much more. The casino even chooses a popular game of the month and prominently displays it on the website banner. If you really can’t decide what to play, start with the game of the month and see where the mood takes you. If you are an online casino gamer with a favourite type of game, Dice Den Casino has definitely got your back. The games have been divided up into a number of categories, such as live dealer, instant win, casino games, jackpots and several others. The casino lets you choose games based on developers, too, and that’s likely because there are games from many of the top developers, including IGT, NetEnt, Red Tiger, Pragmatic, Microgaming, Bet Digital, Evolution and a host of others. By sorting games by providers, Dice Den has ensured that you can pick your favourite developer and take your gaming experience from there. With more than 500 popular and niche casino games on offer at Dice Den Casino, there are plenty of options for all kinds of players. No matter what type of gaming experience you prefer, you’re sure to enjoy endless hours of entertainment. Besides the slots, you’ll find an array of table games, jackpots, instant wins and more. Dice Den’s live casino is for players who enjoy the live gaming experience and like to compete against other players in real time. The live games are powered by both NetEnt and Evolution Gaming, so you just know they are going to be incredibly immersive, responsive and entertaining. There’s everything from a Football Studio to an assortment of variants for poker, roulette and blackjack. If you’re a fan of carrying your favourite online casino in your pocket, you’ll be pleased to know that Dice Den Casino’s games are all optimised for mobile play. You can reach the mobile site via your smartphone or tablet’s browser where you will find over 500 mobile slots, 15 mobile jackpot games and 25 mobile table games to play whenever you feel like, no matter where you are, provided you have an internet connection. Dice Den is owned and operated by one of the top iGaming businesses in the industry, Nektan. The brand is based in Gibraltar and mainly focuses on white label casino platforms. The group operates several other online casinos, so no doubt your overall experience at Dice Den will be somewhat familiar. The online casino is licensed and regulated by the Gibraltar Government and UK Gambling Commission. For any online casino player, the most important thing when choosing a casino to play at is trust. While it might take time for you to become a loyal casino player, there are several indicators that can help lay the foundation for your trust, including certificates from reputable gambling regulators. Dice Den’s licenses ensure that the casino games are fair and that your personal and banking information is securely stored at all times. Apart from all of this, Dice Den casino prominently displays its fair gameplay practice on its site. The casino operator uses a Random Number Generator that is certified by the company’s experts along with a third-party accredited testing facility called NMI. What’s more, the casino has also received RNG test certificates from well known bodies. Their list of certificates includes a Malta RNG Test Certificate, UK RNG Test Certificate and a Gibraltar RNG Test Certificate. Over and above all of that, the casino regularly publishes payout reports to ensure the utmost transparency. Dice Den provides reliable and timely customer support and there are a number of ways for you to access the customer support team. Before you do, though, make sure you carefully go through the casino’s complete FAQ section, where you can find detailed answers to frequently asked questions to do with topics like banking, logging in and bonuses. If you’re not able to find what you need in the FAQ section, you can send the support agents an email, which should be responded to within 24 hours. There is also the ever-popular live chat option, so you can talk directly to a support team member at the casino. Dice Den casino may only have opened its virtual doors towards the end of 2018, but it’s quickly created a niche for itself thanks to its wonderful assortment of entertainment and a reliable online environment, all rounded off with excellent customer service. For us, Dice Den checks all the boxes for an exceptional online casino experience. If you’re looking for a new casino to try your luck, this one is well worth it. Sign up, grab the welcome bonus, and see for yourself!